Goalkeeper: There is no debate over who will start in goal as Alisson Becker is certain to keep his place between the sticks with Simon Mignolet once again on the bench. 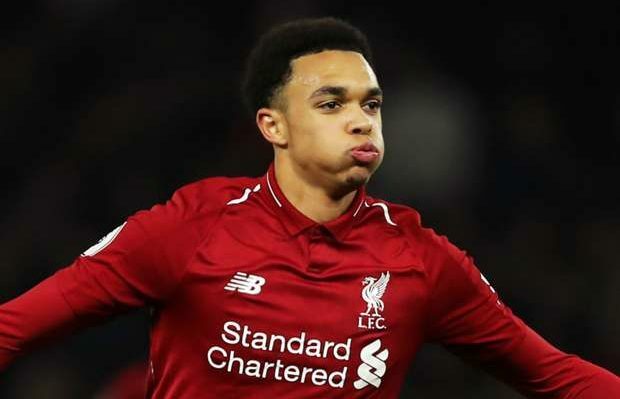 Defence: Liverpool have been handed a major boost ahead of the game as Trent Alexander-Arnold has returned to full training after recovering from a knee injury that’s kept him out in recent weeks so he could return at right-back. James Milner will be the man to make way. Dejan Lovren is expected to miss out once again with a hamstring problem so with Joe Gomez still working his way back from a fractured leg, Joel Matip should continue alongside Virgil van Dijk in the middle of defence. Andrew Robertson will obviously continue at left-back. Midfield: Liverpool have been handed a double boost in midfield as Georginio Wijnaldum and Jordan Henderson have returned to full training. Wijnaldum has been nursing a knee injury while Henderson missed the draw at West Ham with a muscle problem but both players should return to the squad on Saturday. 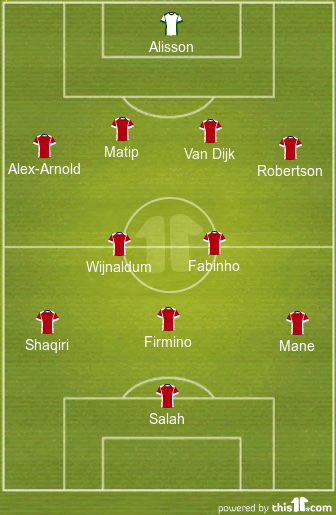 I feel Wijnaldum will get the nod to start in the middle of the park alongside Fabinho with Klopp opting to play a 4-2-3-1 formation at home to Bournemouth this weekend. Naby Keita was poor at the London Stadium last time out so I think we’ll see him drop to the bench. Attack: The formation change is likely to result in Xherdan Shaqiri being recalled after he was named on the bench at West Ham with Adam Lallana the man to make way for the Switzerland international. Otherwise, I think we’ll see a familiar Liverpool attack as Klopp should stick with his usual front three alongside Shaqiri. Sadio Mane was on the score-sheet last time out so the Senegalese international should once again start on the left side of attack. Mohamed Salah will have been disappointed by his performance at the London Stadium but it’s highly unlikely the Liverpool boss will consider leaving out the Egyptian superstar for such a key game so I expect him to lead the line with Firmino offering support. The likes of Lallana, Daniel Sturridge and Divock Origi will have to make do with a places on the bench.